Lipstick under My Burkha actor Aahana Kumra was allegedly held captive by a cab driver in Shimla for not receiving the amount that was supposed to be paid by the travel company through which she booked the cab. 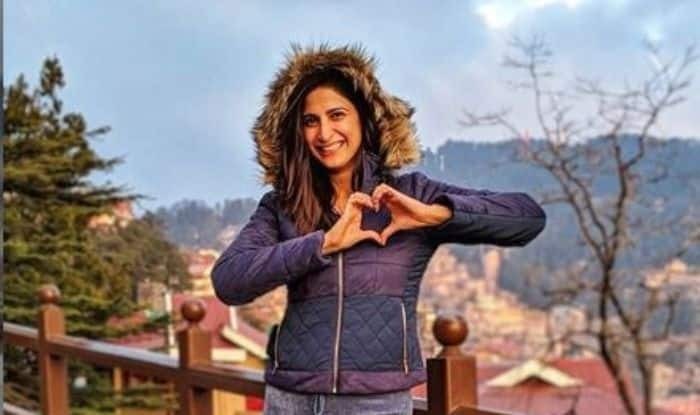 Lipstick under My Burkha actor Aahana Kumra was allegedly held captive by a cab driver in Shimla for not receiving the amount that was supposed to be paid by MakeMyTrip, through which she booked the cab. Aahana reportedly booked a cab through MakeMyTrip to travel from Shimla to Amritsar on March 23. She even made the payments on the same day but her driver claimed to have not received the amount from the travel company, MakeMyTrip and held the actor hostage for hours until he recovered the amount from the company. Aahana was online while on hostage and was continuously tweeting. She took to her Twitter to talk about the incident and wrote, “Now I’m being held ransom in the middle of the road out of nowhere @makemytrip for the payment that’s not been received by the cab service. Please do not make this worst for me!! It’s not safe!!!!”. In another tweet, she mentioned that she could not cancel the ride since it is Shilma and difficult to find another ride. She wrote, “If it was Bom or Del I would’ve definitely cancelled this cab but because it’s Shimla and transportation isn’t easy to find I have not been able to cancel this ride. @makemytrip you’re a utter disappointment. No one should use this service for the sheer fact they have no regards.”. The actor managed to reach Amritsar safe and sound and thanked her verified Twitter account for being heard but again showed her concern towards the other women who must be facing the same. She wrote, “Just reached Amritsar safely. The driver was extremely overworked and sleepy but I’m only too grateful to everyone who has been in constant touch with me throughout my journey. It’s been very scary for the first time and I really never wish to repeat this mistake ever again.”. She even asked everyone to, especially women boycott the company since it is unsafe.